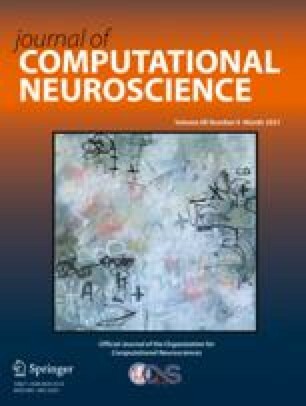 We developed a multicompartmental Hodgkin-Huxley model of the Hermissenda type-B photoreceptor and used it to address the relative contributions of reductions of two K+ currents, Ia and IC, to changes in cellular excitability and synaptic strength that occur in these cells after associative learning. We found that reductions of gC, the peak conductance of IC, substantially increased the firing frequency of the type-B cell during the plateau phase of a simulated light response, whereas reductions of gA had only a modest contribution to the plateau frequency. This can be understood at least in part by the contributions of these currents to the light-induced (nonspiking) generator potential, the plateau of which was enhanced by gC reductions, but not by gA reductions. In contrast, however, reductions of gA broadened the type-B cell action potential, increased Ca2+ influx, and increased the size of the postsynaptic potential produced in a type-A cell, whereas similar reductions of gC had only negligible contributions to these measures. These results suggest that reductions of IA and IC play important but different roles in type-B cell plasticity.